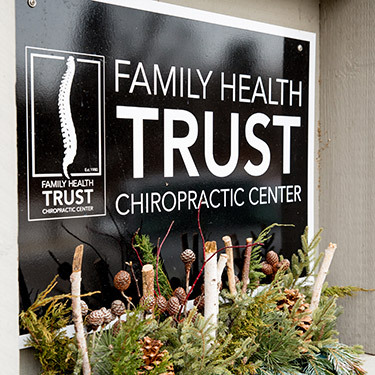 Dr. Kelly Sheehan established Family Health Trust Chiropractic Center in 1980. Over the years, he developed a reputation for providing quality chiropractic care in our area. In 2016, Dr. Kelly’s son, Dr. Cole Sheehan, joined him in practice. We work with families, workers’ compensation cases and auto accident injuries. We’re proud to have served our community for years and the trust that people show in us. Our goal is to improve your health so that you can do the things you enjoy. We love to see entire families who are living lives of abundant wellness together. Our scientifically accurate treatments restore your well-being with reliable results. You can feel confident that we’ll keep your best interest in mind at all times. We’ll partner with you to help you commit to a healthier lifestyle. Our chiropractic care focuses on making sure your body has the proper structure. We understand that your entire body is made up of connected parts. Rather than looking at a single area, we seek out the full picture. If the curves of your spine are correct, you can enjoy the best of health. One of our patients wanted her father to come and see us. He flew over from the Czech Republic to get help with headaches. He’d been suffering for five years through the pain. Dr. Cole did an examination and took X-rays. Once the source of the problem was located, the man got an adjustment. The next day, the man returned and said he could touch his toes, get dressed alone and was free of his constant headaches! If you’re curious about what we do, contact our chiropractic office today! We provide complimentary consultations so that you can learn more with no obligation. We’re open late and accept most insurances.